Get Your Custom Handle Window Boxes – Wholesale Custom Handle Window Boxes Made in Custom Shapes, sizes, and layouts. We offer quality and error-free packaging services with free shipping in all the USA. Custom Handle Window Boxes: Custom boxes also make Custom Handle Window Boxes for presenting to friends and family. 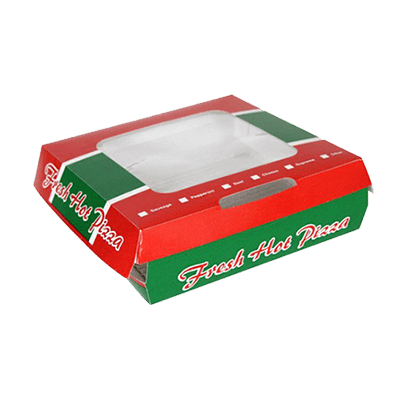 You also definitely have the choice of obtaining window partitioned boxes to put in a number of products without damaging their integrity. Custom Handle Window Boxes are also available to enable convenient carrying of the package. 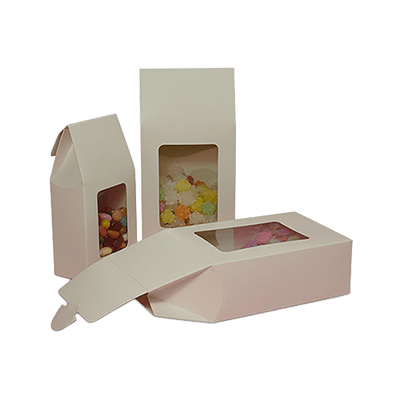 Get window sleeve boxes for an added look of luxury. 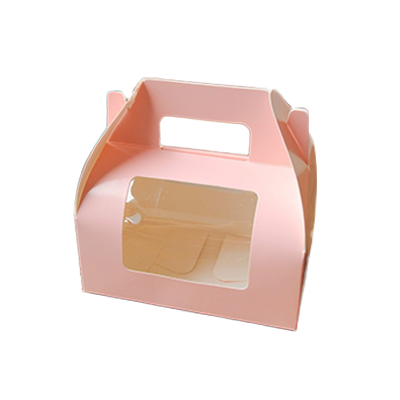 We also provide hang tab boxes with a window for displaying goods at the point of purchase. Startups, small and big businesses can enjoy the same highest quality services at the lowest rates. The materials used are adequately sturdy to give lasting protection to your goods. Assembling the tuck end window boxes is a breeze. Just fold them and you’re done. For many leading companies these wonderful Custom Handle Window Boxes give them the competitive edge in the market. When it comes to packaging, handle window boxes are one of the easiest ones to carry around. These boxes serve numerous purposes. 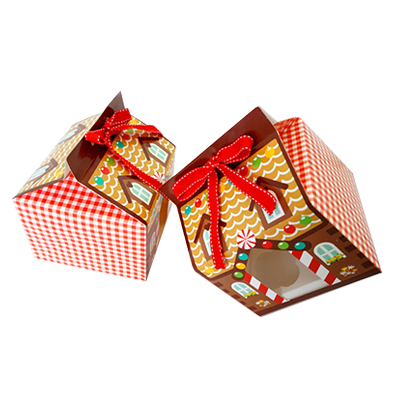 They are useful when it comes to packing food, gifts, sweets, candles, chocolates, and so on. 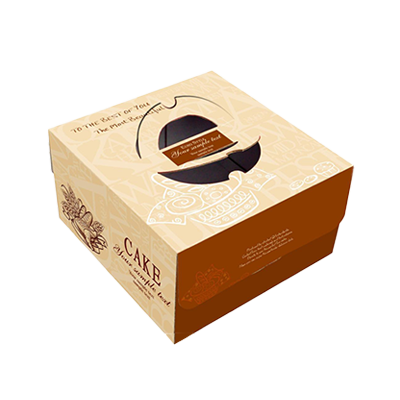 The handle on the top of these boxes is what distinguishes them and makes them convenient packaging solutions. 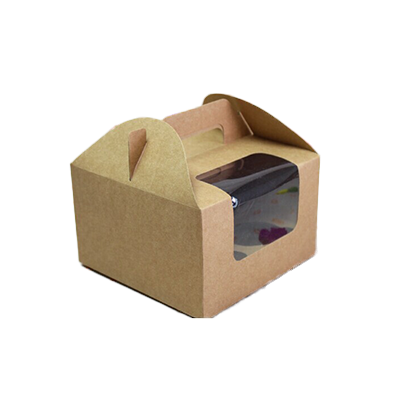 At Packaging PAPA, we can customize these boxes in all sizes and shapes, just as per your requirements. We use high printing technologies, and inks to give them an alluring and enticing touch. Custom handle window boxes serve many purposes, for transporting and packaging of a wide range of items. These boxes have handles on their top, which adds to their unique and classy look. They are easy to carry around and available in different customized choices. 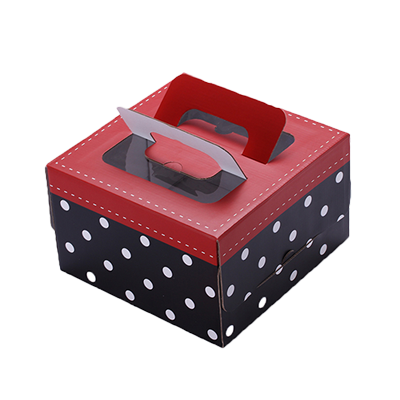 To design custom handle boxes, you need the right professional help, and Packaging PAPA is the company name you can depend on. We specialize in the packaging and printing needs of a plethora of businesses in all niches. We offer some of the most startling customization options for handle window boxes. When you come to us, we can personalize these with your favored colors, sizes, and shapes. They will serve all your business or personal purposes. If you want, we will also add details to the boxes, such as lettering, images, and more. We are aware of the importance of using high-quality materials; hence, we use the finest stocks and inks. We can modify these boxes in unique ways to ensure they fit any application or requirement. We can customize these custom handle window boxes in various shapes, which fit enclosed items. If you want, it can have a horizontal flat shape suitable for bakery products. Choose vertical triangular shapes, suitable for height-assorted items. 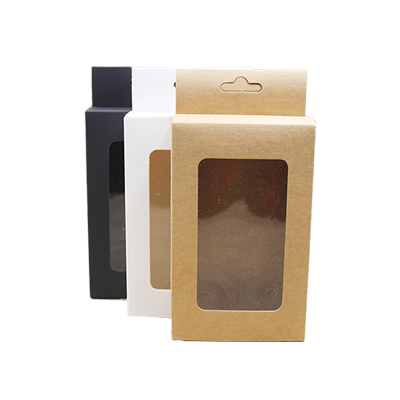 To display the items within them, you can also have custom options like retail boxes with transparent windows. This not only adds to the good presentation for the items within but also attracts consumers. We make the custom handle window boxes with 100% durable, sturdy Kraft. At Packaging PAPA, our creative and talented design team will use the latest printing and cutting press. This will assure the high quality of the boxes. Choose from various coatings available, including Gloss UV, Spot Gloss, Semi-Gloss AQ, Matte UV, and more. Add finishing touches like Gold/Silver Foiling, Raised Ink, Window Cut Out, or Embossing. Contact us now for bulk orders on custom handle window boxes!